In the summer of 1998, I went to Scotland for the first time with a church choir at the Second Presbyterian Church in Baltimore, Maryland. We sang in Iona, Inverness, Edinburgh (St. Mary's and St. Giles), and Glasgow. 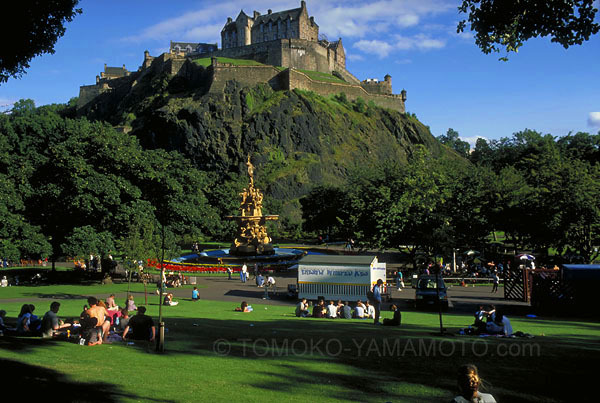 I took this shot of Edinburgh Castle and Ross Fountain from Princes Street Gardens toward the end of the afternoon on Fujichrome Velvia 50 (RVP). The weather was like this all day long and I have other shots of the castle from the other side as well.